I normally don’t post on the weekend, but wanted to share this recipe with you – it was so good! 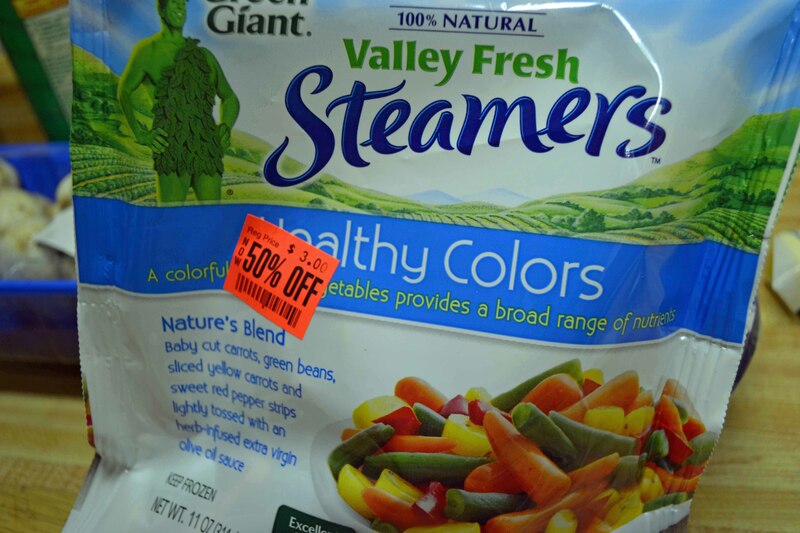 The other night I showed you a new Green Giant product (new to me!). The whole 11 ounce bag is only 3 points! 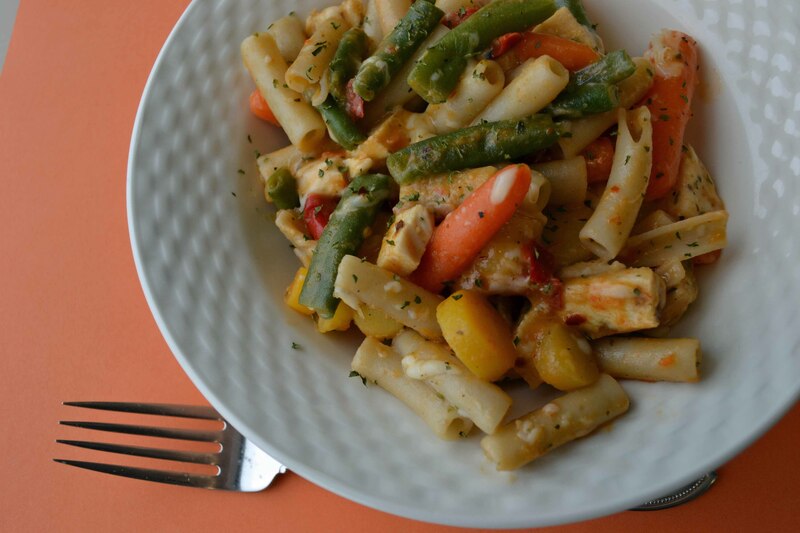 I had leftover chicken and leftover cooked pasta, so my version of pasta primavera was born! 😀 My lunch portion was only 5 points, but I rewrote the recipe for two servings for a dinner portion. When I cooked this at work yesterday, while the vegetables are in a light sauce, it wasn’t saucy enough for me. I looked in the work fridge and found my spicy red pepper hummus my Mom had given to me because it was too spicy for her – just adding a tablespoon to my serving was the perfect touch – it coated the pasta nicely and gave the whole dish a nice kick. I imagine garlic hummus would be good too! Microwave the vegetables according to package instructions. Heat the olive oil in a large non-stick pan. Add diced cooked chicken and cook for a few minutes to reheat. Add cooked vegetables from microwave, the pasta and hummus and stir for a couple minutes. Add mozzarella cheese and stir until melted. Sprinkle with parsley and Italian seasoning, stir and serve. This would be an easy week night meal too – you could just throw in any leftover meat, or maybe shrimp? In other news, I went to WW today, down another pound so I’ve lost 6 pounds! Only thing is that they couldn’t print out my results, because last week I went to the meeting on Sunday, which starts their week, so the computer had already “counted” my weigh in for the week. So my goal is to lose another pound this week to show -2.0 next Saturday! Tony and I are trying out a new to us Chinese restaurant at lunch today – its so hard to find good Chinese food places in the suburbs!